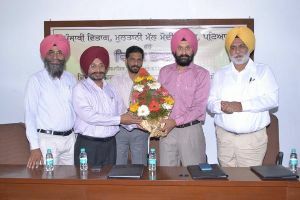 An expert-talk on the theme of ‘Social Experience and Creative Writing’ by eminent Punjabi Story-Writer Dr. Waryam Singh Sandhu was organized by the Punjabi Dept. of M. M. Modi College here. Addressing the students and the faculty he said that every sensitive human being feels the pain and agony of the common man that he suffers during the struggle for survival. But the writer or the poet feels it more intensely and portrays it in his writings. By quoting examples from his much discussed story ‘Chauthi Koot’, written about the days of terrorism in Punjab, he emphasized the need to maintain harmony in the multi-cultural social fabric of India. He further said that life is a valuable gift and no one should spoil it by ending one’s life. He appealed to the young boys and girls to face the challenges at every step and strive hard to achieve higher goals. He also expressed the need to make the youth aware about the history of national freedom movement as well as our cultural heritage. He also informed that he has recently written the biography of Shaheed Kartar Singh Sarabha and two books on Ghadar Movement and its contribution in our freedom struggle. College Principal Dr. Khushvinder Kumar, welcomed the guest-speaker. 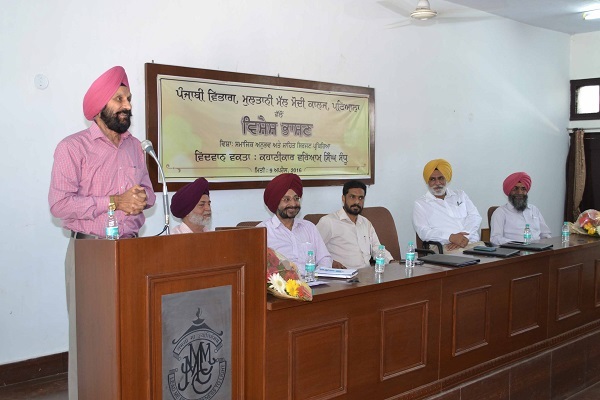 Dr. Kulwant Singh Sandhu a Punjabi Critic spoke about various aspects of the life and literary works of Waryam Sandhu. 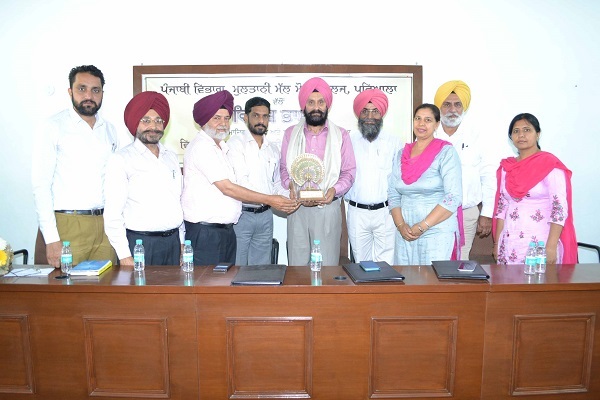 Dr. Harcharan Singh, Prof. Balvir Singh and Dr. Gurdeep Singh also expressed their views on the occasion. Teachers and a large number of students took part in the discussion that followed.